Being an educator in the era of Trump… Or, how do you explain to students that the national “Role Model-in-Chief” is everything that you don’t want them to be. As educators we have a commitment to learning, the acquisition of skills and knowledge, to telling the truth, and yet we don’t want to distribute despair in our classrooms. The scary problem is that Donald Trump is very much America, its tragic past, its dangerous present, and hopefully not its future. Perhaps he is not the “America the Beautiful” that Ray Charles sang so movingly about; but he is still America, at least the ugly parts. The American Slavery part. The decimation and destruction of Native American people’s Nations part. The Chinese Exclusion Act part. The World War 2 Japanese-American Internment Camps part. The treating of a hurricane devastated Puerto Rico and Virgin Islands like they are not Americans, or even human beings part. And although a case could be made that he was voted into office by the moral and mental equivalent of the ‘walking dead’; they were indeed living and breathing US citizens who cast millions of votes for what is essentially a leadership obscenity. Donald Trump, for now and forever is very much a part of America and American history. I struggled with this at first, perhaps I was lost in my musical memory of hearing both the Ray Charles rendition of “America”, and Marvin Gaye’s spiritually soulful treatment of the Star Spangle Banner at the 1983 NBA All-Star Game (check it out on YouTube). But the truth is, that the election (and present successful process of normalization) of Donald Trump is not an aberration, mistake, misstep, an event invented by Russian espionage, the ‘Bernie or Bust’ crowd, or the lack of effectiveness of his opponent’s 2016 campaign. The elevation of Donald Trump to the US presidency, was an American aspirational choice. And although it is so clearly obvious (to at least some of us across the political spectrum), that Mr. Trump is totally unfit to serve in a position that can not only endanger all Americans, but indeed puts the entire world at risk; many US citizens who he has not offended find comfort, or are at least feel comfortable with him as the nation’s leader. We keep hearing about ‘negative polls’, conflicts of financial interest, and ‘flat-out-lies’ coming out of the White House, but where is the ‘tipping point’ of national revulsion; I don’t see us reaching it; we seem to just endure, accept and adjust to the ‘next’ extreme and noxious behavior. What if a principal led a school in the same way that Trump is leading the nation; would there not be a dramatic unified outcry and actionable movement for their removal? History teaches us that nations (ignorant of history), often make bad choices. Bad and evil people don’t always seize power in a military coup; instead they are often handed the keys to power by a spiritually diminished and morally exhausted populace. The truth is that Trump’s presidency has produced no real surprises (despite the recurring betrayed expectations of the ever hopeful ‘pivoteers’), his entire campaign, from the start, was so unseemly, unworthy, ugly and offensive (to at least some of us); that in a sane and rational world, if he were running against a cadaver, it should have been a landside win, for the cadaver. As a lifelong educator my natural position is to see the ‘good’ in young people, even when that good is hidden from and ignored by the rest of society, and even, as is often the case, when that good is hidden from the children themselves. The ‘good’ of the 2016 elections has so far eluded me; we now simply careen, on a daily basis, from one piece of bad news to another; much of it affecting people who look like me. It took me some time and difficulty to arrive at the horrible conclusion that Mr. Trump represents America. Difficult because it pushes against everything I want to believe about this nation in particular, and human beings generally. Sadly this revelation goes against my internal compass that always points in the direction of hopefulness. That means I am not buying the “discontented and disconnected White rust belt voter” movement that various news media outlets claim propelled him to victory (did all of those millions of votes come from uneducated and unemployed Whites?) And as he puts into place policies that do great harm to poor and working class White Americans; there is no popular White Lives Matter rebellion against him because economics was never the reason for their support of Trump. It was his bigotry, the incendiary and exclusionary rhetoric, the walling in and walling off of people of color; the call for a return to a safe to hate era in America, where Blacks, Muslims, Latinos, Women, Gays and Lesbians knew their places and stayed in them. Mr. Trump like many evil demagogue leaders before him, has strategically found that ‘sweet collective social-psychological spot’ of combining racist-supremacy nostalgia, the fear of a loss state of privilege, ignorant prejudice, selfishness and a lack of compassion as the sound foundation to launch and lead a toxic political movement. Hitler did not invent anti-Jewish feelings in Germany, he simply cultivated them, and made them an instrument of official state philosophy, policies and practices. If your marriage was failing, or your kid’s underperformed in school, it was the fault of the Jews; if you were dumb as a brick and unemployed, it was the fault of the Jews. The origin and cause of every societal and personal problem can be reduced and found in the presence of the despised ‘other’. Trump did not invent ‘Trumpism’, he simply taped those feelings that were covered over by the US international PR campaign to convince the rest of the world that bigotry, racism, and the foundational elements of fascism, are not part of the American character; well that cover has been blown by the election of Trump, and the world has taken notice. Trump is an immoral leader, but he is not silly or stupid, even as his own (well situated to know) Secretary of State seems to have described him as “moronic”. He knows what he is doing. In fact he knows that he could verbally insult, brutalize and continue to berate an emotionally traumatized and suffering African-American widow of an American soldier killed in combat and get away with it. Mr. Trump is fully aware that the widow, her children and her fallen in battle husband constitute the nation’s marginalized ‘other’ in the present American zeitgeist; the military service, death and suffering notwithstanding. And like those coal miners he has fooled into thinking that he can change international economic energy reality; Mr. Trump has successfully mined the sewerage soul of America, found the worse attributes that will offer some false temporary relief to those Americans who have come to hate fairness, progress and change. He is their only path to feeling what they believe as being ‘wholeness’; and that is to: beat up the weak, deny the disenfranchised, belittle those who don’t have the capacity to defend themselves, hate and despise the (Muslim, Latino, LGBTQ, Black) other, than ‘us’. Mr. Trump knows America, because he is that large part of America that lies to itself and the world, a prejudice laced petulance masquerading as patriotism, reciting ‘Liberty and Justice for all’, while placing limits and conditions on the ‘all’. They are like roaches who go into hiding when a type of Obama-like light of decency enters the public square. And now it is their time, to make America ugly, and ungrateful again for her natural gifts and diverse people resources. In any event, I am glad I am retired because this is one of those familiar moments when I probably would get into trouble! High school students don’t miss much, and are just going to come straight out and ask you, “What do you think about Donald Trump Mr. Johnson?” Or, “you have a picture of President Obama in your office, where is Trump’s picture?”, and expect an honest answer! A “got jokes” very intelligent student at Phelps ACE high school mentioned to me once in the hall: “Yo Mr. Johnson, I see you have a picture of Justice Sotomayor up in your office; where is Justice Clarence Thomas?” As he offered his best rendition of the hungry smiling cat eyeing the bird look. But a principal must be quick on their feet. “Not enough wall space for all nine judges”; I responded, “and don’t you have an AP history class this period… goodbye.” Sometimes in education you just let your reading assignments, bulletin board pictures and preterition tell the story! To keep students safe in a school, principals will need to be strategically smart and consciously courageous. Parents send their children to schools for a lot of reasons, not on the list of reasons is to die, end up in the hospital, or their child facing murder and/or assault charges. And yet every year, all over this nation we have a lot of young people who are seriously injured and/or killed, which also often leads to the alleged perpetrators having a negative life-changing encounter with the criminal justice system. These situations leave two or more families suffering from seeing their hopes for their children destroyed; there are no winners here. As a district superintendent I can say that it was the rare case of student vs. student violence (or students vs. staff person) where the incident was ‘spontaneous’. There was always a ‘back story’, ‘warning signs’, ‘hints of trouble’, that preceded the violent event. There were often multiple missed opportunities, ‘intervention points’, where the tragic incident could have been avoided. It’s extremely hard (but not impossible) to prevent the ‘spontaneous’ incidents, but there is a great deal that we can do to stop the majority of the ‘building over time’ violence related incidents that show up in our schools, as well as those outside of the school violent events, that are the result of something that occurred inside of the school. Not just a Metal Detector, a principal needs a ‘Mental Detector’! A thoughtfully strategic plan to find out what is truly going on in the minds, words and ultimately the behavior of the students in the building. 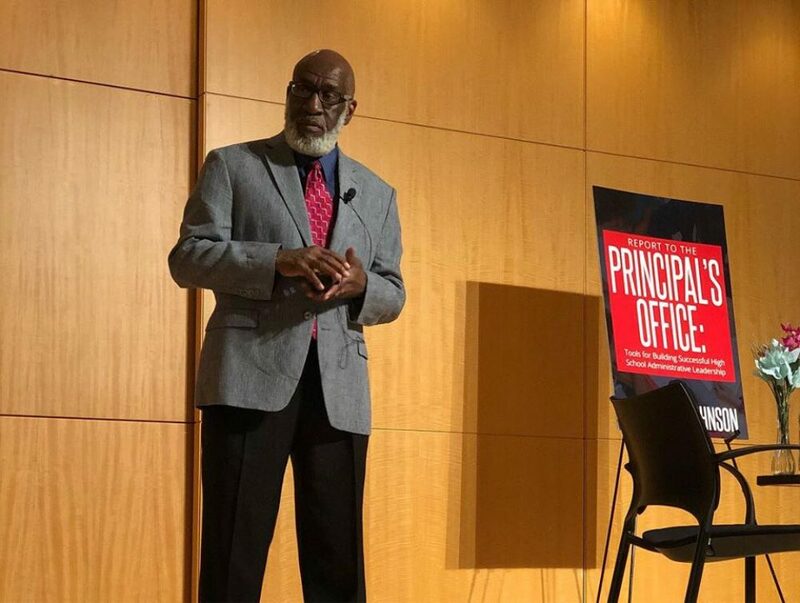 I have told many principals over the years; that you stay (hidden) in your office at your own, and the school’s peril. I always love, love my main office staff folks; but for a principal they are like those Greek mythological sirens who with their beautiful voices want to lure and keep you in the main office, which means certain doom; resist them! Also, if you are truly called to be a principal, then you must accept that you must work ‘two-shifts’ and get paid for one. The second shift starts in the afterschool/evening hour where you do all of the administrative paperwork, as an off-the-clock unpaid volunteer. That 2nd shift ‘donation of services’ to the district will allow you to spend that school day’s first-shift moving around the school building, having informal and quick ‘stand-up’/sit down meetings with students and various members of the staff. A teacher may be in their classroom during their prep period, stop by to say hello, and ask how things are going (“Any potential problem they noticed in their classes?”); check with AP’s, the guidance department and deans office: “Anything I need to know?” Students could be on their way to the cafeteria, stop, and talk, check up on them. Make yourself available for informal conversations… Have a real, not rhetorical ‘open-door-policy’. All of these actions are important parts of the intelligence gathering and violence prevention program. In any institution/organization there is a formal and informal information-communication (IC) stream; as school building leader you must tap into the student’s informal IC stream. A principal must develop and cultivate the art of “approachability”; you really need the members of the school family to feel comfortable with bringing potentially dangerous ‘issues’ to you; and you want to be made aware of these situations in their earliest developmental stages: The menacing look or gesture, the threatening words exchanges, the two people in the gym who were separated but never exchanged blows, the “A said that B said, that C told B, that D was talking about A to E” (Me to the dean: “Just round up all the alphabet cadets and deliver them to my office!”), the teasing or joke that went too far, and/or for too long. The teasing or joke that ‘hits too close to home’.For a child who has lost a parent, being raised by a grandparent, living in foster care, or in a group home; a casual “Momma-Daddy” comment could take them over the edge. A major part of the safe school story, is for the guidance dept. and school administrators to be aware and be involved with every student’s ‘story’. But further, to connect every student in the building with some type of staff supervised activity. Thus the ‘information gathering’ and mentoring power of clubs, teams and activities that can link students to a responsible adult in the building. Students will often feel more comfortable revealing a concern to a coach or faculty club advisor. A pro-‘snitching’ policy is needed to keep a school safe! As the principal you must redefine, reinvent, rewrite and raise the profile of the “Snitching” narrative. Establish that for our purposes in schools, “snitching” is our friend and protector! You must have the student body buy into the idea that ‘snitching’ makes all of us safer; and to the greatest extent possible keep your sources confidential when they do provide you with life-safety saving information. This ‘snitching is good’ approach includes students letting you know when their friends are having ‘a beef’ with someone, are threatening suicide, planning to run away, drinking and driving, depressed, or are victims of abuse at home. Understanding the language of ‘teenage speak’. Remember there is a (foreign to adults) ‘teenage speak’ language and style, that may utilize English words but that’s about it. They also often don’t necessarily deliver information in the way you think it should be delivered. Be non-judgmental, persistent and patient (Also be humble by allowing your youngest teachers to help you with the latest terms and phrases!) On many occasions I have had to listen to a very long (“you see what had happen was…”) story a student was telling me about a serious problem an ‘unnamed friend’ was facing; when it was very clear to me early in the narrative that the student was really talking about themselves. But I had to wait for that moment when they were ready to reveal that the ‘friend’ they were concerned and asking this advice about was in fact them. Part of the approachability skill set is having the ability when members of the school family are talking to you, make them feel, (and at that moment it’s true) that you are only the principal for one person in the school— Them. Leading a school where the environmental ethos is self-protection, and especially having a type of relationship with students such that they are your safe school partners; is better than any metal detectors you can set up at your entrance doors. The best parents and principals are tactfully and thoughtfully ‘nosey’! Start out the day principal at the front entrance greeting students, read their facial expressions, their body language; do they look angry, worried, sad or upset? If you notice one of these symptoms pull them to the side and in a whispering tone: “Is everything ok, is there anything you want me to know or help you with”. For boys, these kind of close encounter conversations starting at the front door, and very soon after moving it to an empty hallway or classroom, out of ‘ear and eye shot’ of other males may very well be the only opportunity for that student to let you know that he is being bullied, or planning to fight. I will give away a teenage male secret here; they actually want (without saying so), an authoritative figure to intervene and prevent the fight; an ‘unauthorized fight’ is not like a fight in a boxing ring. In an ‘unauthorized fight’ a lot of things can go terribly wrong, for either combatant. Asking a male student in front of other students if: “Someone’s bothering you or, are you having problems with so and so”; is guaranteed to generate an untrue response; or even worse “I can (will) handle it! There is again also the problem of ‘teenage language’ and the thinking linked to that language. Teenagers and adults have a completely different understandings of words and terms like: “problem solved, problem solving”, “over”, “respect” (or disrespect), “something being handled”, “defending-protecting myself”, etc. Just because they (for the purpose of responding to power and authority) code-switch over into our linguistic world, does not mean that they accept our cultural-linguistic definitions. It’s like that principal who in honest shock said to me after a vicious after school neighborhood brawl; for which the angry neighborhood residents called (my) the superintendent’s office: “I don’t understand it, they shook hands in my office before they left the building!” Clearly, the young men and the principal had two completely different definitions of: “It’s over!” I gave the principal a reading assignment book list* for our follow-up discussion. We need to understand that teenagers are not mini-versions of us; they are psychologically linguistically speaking, truly another species. The principal must be a ‘hunter and gatherer’ of information, but they must also be a closer! Just as information-intelligence gathering is important; also having a thorough investigation and a complete closure process (that the students and parents understand as closure) is critical. There must also be a systemic process that allows the principal to continue to monitor the ‘situation’; as well as a way to evaluate the ‘conditions’ of the closure proceedings and conditions. For example, again returning to ‘teenage cultural-linguistics’; even after a stolen item is returned intact (or even when they received a brand new item) to its owner; and the ‘perpetrator’ of the theft received a severe official punishment from the school. It is not uncommon for the teenage victim to feel that the only justice that would erase what they feel was an affront (disrespect) to their dignity and honor, is a ‘beat-down’ of the thief! And the: “Yo son, you gonna let him…” agitator/friends; out of the hearing of adults will be anything but helpful. One of the reasons I always insisted that the novel Lord of the Flies, be placed on the 9th grade reading list was to have students think early in their high school career about what it means for young people to be ‘in charge’: “Is that the situation that you truly want?” The truth is that I don’t really need to convince them, I only need to make them aware of what they already believe. Despite the push-back and complaints from students, and in some cases their enabling parents. It has been my experience that the overwhelming majority of students want to attend a school that is safe, secure, and predictable in its operational practices. Even if they themselves are hell-raisers! Yes, as strange as it may sound, even those students who are fully committed to the cause of hell-raising, don’t want random and unpredictable misbehavior in a school that could adversely affect them if it is not corrected and contained. Often the reasons for some ‘teasing’ acting out behavior might be deflection and fear; perhaps graduation feels like it is slipping away from them; the fear that they will be discovered as poor readers; or their discovery that they are not prepared to successfully engage with high school level academic work. These students may also be experiencing a difficult, arbitrary, unstable, unpredictable, and yes, living daily themselves as victims of a bullying home environment (These students will often employ verbal or physical bullying at school as a form of self-applied therapy). Or maybe these are teenagers who just never learned how to treat other people with respect. More than anything else these and all students want and need a school environment that practices commonly known and followed principles, rules, and is a safe place to learn, all wrapped up in a philosophy of consistency. Principal, take the heat to keep the school a ‘cool’ place to be. Any high school principal seeking to build a safe for learning school is going to get some complaints. And some of those complaints will come from some of our ‘liberal’ collogues who would never send their own children into a dangerous and chaotic learning environment. The people who charge you with being ‘too strict’, ‘not democratic’, or you’re not letting the “kids be kids”, will be in the front of the line of folks condemning you for having an out of control and unsafe school. I rather have a few feelings hurt, then to have students hurt. I can only imagine how hard it is to be a school principal today and be forced to transition from a very dignified, inclusive and compassionate Role-Model-In-Chief Barack Obama, to the present situation. But good or bad POTUS role modeling does not relieve the principal of the responsibility for establishing a school wide no bullying zone; not just in words but by action, monitoring, enforcement and punishment. The principal must make the school a place where students feel safe to be smart; and have the power and right to be the ‘who’ of whoever they are. There are many ways to make a student’s school life-experience enjoyable, fun and fulfilling. Anarchy, danger, disorder and ‘bully targeting’; are not on the list. • Serve the parents by allowing them to spend their day knowing that their child is safe. • Serve the students by providing them with a safe and productive learning environment. • Protect the classroom by making it a place where teachers can teach and students can learn. • Protect the district from being sued because we did not intervene early and effectively. Suspending or turning students over to the criminal justice system is an ‘after the fact’ response. What we really need in schools is an ‘early warning’, take affirmative action, and bring things to closure, before a serious incident occurs, plan… Know that, if a school does not meet a student’s standards for safety and protection, then that student will predictably take their safety and protection into their own hands; logic, reasonable thinking, and bad endings-outcomes notwithstanding. One of the mayoral candidates in NYC has as a solution to school violence, called for expanding suspension rates for students in kindergarten to 2nd grade; and just add more metal detectors. The first suggestion beyond declaring an open ‘search and destroy’ season on poor students and students of color; will in fact actually criminalize and create more bitter and disconnected students, who will end up being prone to acts of violence as they get older, and become less socially and academically successful in the school system. The second suggestion is drastically unimaginative and incomplete; we need to help principals to better discourage and deter students from wanting to bring a weapon to school, not just engage in the act of discovering a weapon. Besides, there are many ‘dangerous things’ in a school building that have, and can be transformed into a weapon of violence against another student or staff person. Of course we must after every incident review and upgrade school security practices and procedures. But at some point we need to at least have the discussion as to why a student might feel that their only available option to a threat or bullying is to bring a weapon for self-protection into a school; or, in many cases they just won’t come to school at all. *THE MORAL JUDGMENT OF THE CHILD: JEAN PIAGET; THE GROWTH OF LOGICAL THINKING FROM CHILDHOOD TO ADOLESCENCE: JEAN PIAGET; THOUGHT AND LANGUAGE: LEV VYGOTSKY; DISCIPLINE & PUNISH: MICHEL FOUCAULT.